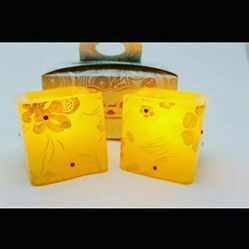 5.Product Size : 1.5" x 1.9"
We are amongst the most well-known entity, widely engrossed in offering an optimum quality range of Flameless Printed Candle. - Can change 7 different colours, each colours for 5 seconds. - It is flameless, wax less, heatless, and long lasting. - Battery included can operate for 25 hours continuously while LED can last upto 1, 00, 000 hours. - The rose are all white until you turn on the LED lights. 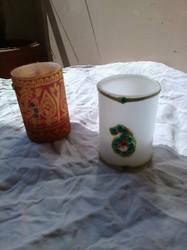 - They can be used as Tea Lights on tables. They are perfect for rose bowl. Wax candles have long been associated with Romantic dinners to create that perfect aroma for that special someone. How about having these candles with lifelong functionality Without any hassle of melting wax or the surface getting dirty or without worrying about your child touching it!! • Flameless candles which look exactly like real candles at night. • All the fun of candles without the danger. • Lifelike flickering light is ideal for both indoor and outdoor use.